Merriam Webster's defines a mosaic as: a surface decoration made by inlaying small pieces of variously colored material to form pictures or patterns. And whether they be created with stunning slivers of stained glass, starkly contrasting shards of ceramic, or gorgeously stained tile, we here at Colourlovers have always been big fans of all things mosaic. Gathered here below are just a few of our favorite colorful conglomerations, along with the yay-worthy palettes they inspired. As always, feel free to jump in and add your own personal preferred mosaics and palettes! Because, by all means, Colourlovers, bring on the community hodgepodge of creativity! 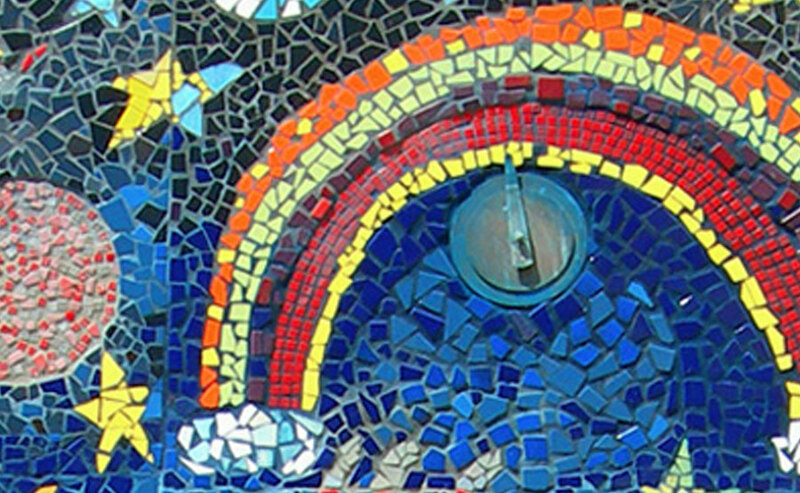 This whimsical mosaic wonderland was created to infuse beauty into Glendene School, an institution in Easington Colliery Co., Durham that works with young people with learning disabilities. The best part? The talented artists happen to be 11 of Glendene's very own star pupils, who whipped together this remarkable, joy-inspiring juxtaposition of seasons over a surprisingly brief period of just four days. An impressive accomplishment to say the least, here's celebrating this beautiful whirled piece! 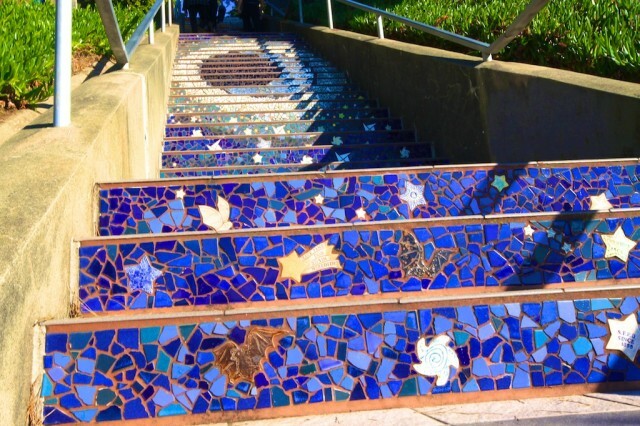 Having received a local grant for $5,000--allocated in order to help local San Francisco community organizations beautify their small corners of the city--Hillcrest Elementary School hired an art consultant and purchased supplies that students then used to better (and beautify!) their campus. 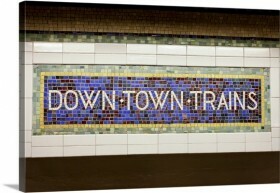 Among one of their additions was this gorgeous telework mosaic. The final verdict for their rainbow-riddled result? A++ and solid gold star sticker! A tree grows in....Manchester? Well, technically, it was handcrafted in Manchester, and now towers tall over the parishioners at the town's St. Chrysostom's Church in the UK. 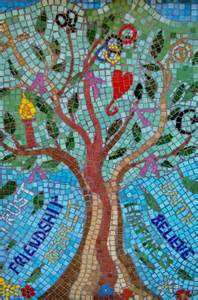 Commissioned by the congregation, local artist and insanely talented sculptor, Angie Sidwell, created the stunning piecemeal arbor with a little help from the church's children, as well as kiddos from the church's two primary schools. Way to go team! This bubble-gum hued mosaic's vibrant colors pops with personality, enough to smack a smile straight on our lips, and leave a delicious, almost edible vision in our brains of coral, pink, and--dare we say, salmon? 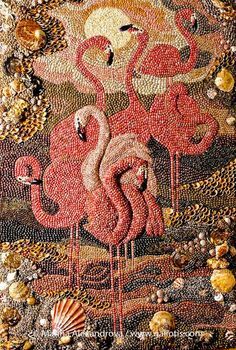 Created by artist Beverly Herman, this flamingo-themed piece is personally one of our top picks. And did you know that the word "flamingo" actually comes from the Spanish and Latin word "flamenco," which means fire, and refers to the bright color of the birds' feathers? And even more fascinating: the brightness and intensity of each flamingo's personal feather palette is determined directly by its diet. Who knew?! When it comes to liveliness and vitality, Brazilians are known the world over to be full of both! The culture of this vibrant country practically pulses with every heartbeat of each citizen, and even the government takes great strides (or steps?) 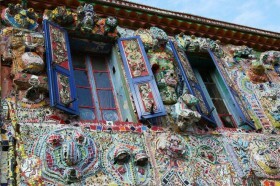 in order to ensure that their capital city is dressed to impress (and inspire) the hearts of locals and tourists alike. 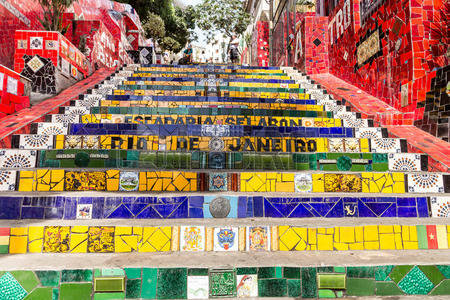 Pictured here is an iconic and extremely colorful mosaic tile stairway in Lapa, Rio de Janeiro. Looks like the rest of the world better step up its color game! 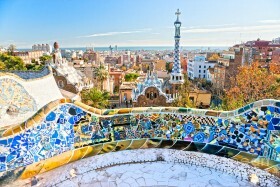 Located in Barcelona, Spain, Park Guell was first commissioned by Eusebi Guell, an aristocrat who desired to have the park be a stylish haven for those of her shared aristocratic class. Commissioned to undertake its creation and design, Antonio Gaudi made what can only be described as a real, life Wonderland. 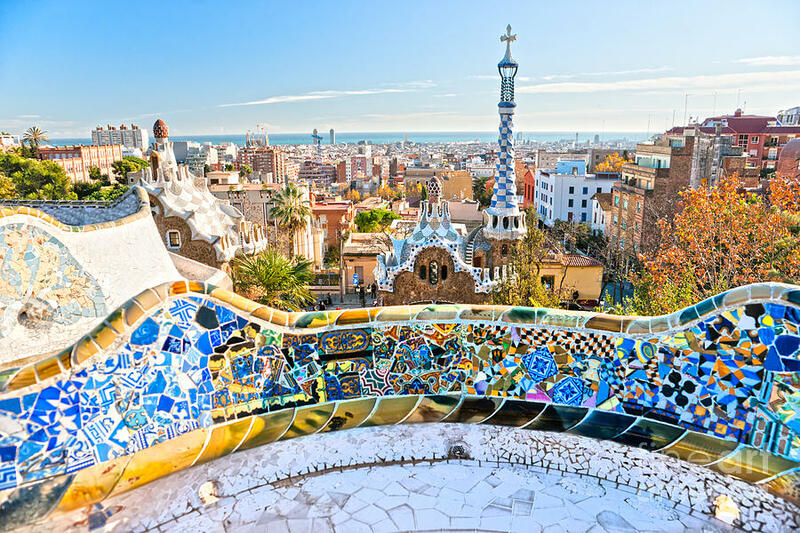 Pictured here is the park's entrance, a terraced area offering an amazing view of both the grounds itself and Barcelona in its entirety, and marked by our favorites, a colorful kaleidoscope of tiled mosaic seats. 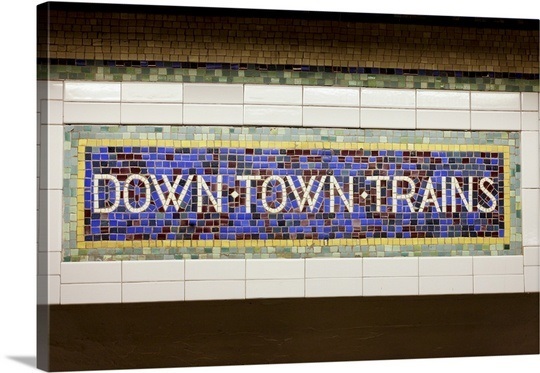 One of the many charms of New York City, this beautiful mosaic below is one among a collection of many that were created from the turn of the 20th century and continue into the present. Found spanning the entire five Burroughs of the Big Apple, these cheery and colorful creations harken back to a feeling of yesteryear, which is always somehow comforting and just, YAY. Leave it to a Frenchman--known for their impeccable taste in fashion and style--to come up with one of the world's most whimsical and wonderful abodes. La Maison Picassiette- a beautiful, complicated, inspirational, and mystifying home that Raymonde Isidore, a middle-aged manual worker, built by himself for his family between the years 1938 and 1964. 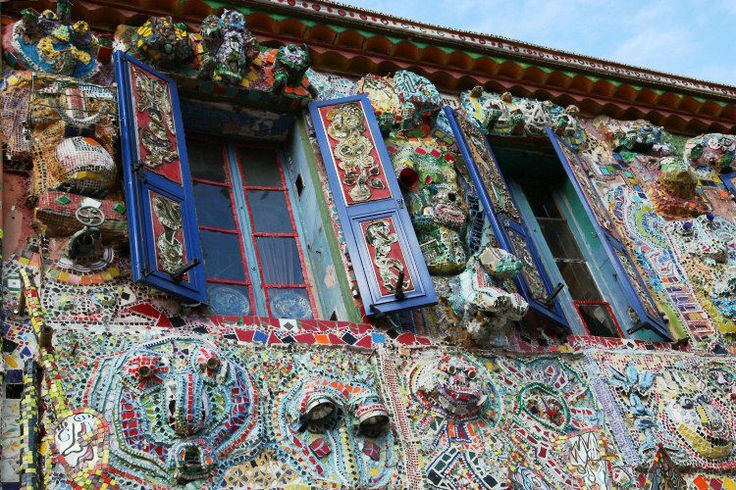 Pictured below is the wonder-filled house and idyllic garden, each covered with intricate mosaics of broken crockery, paintings, and sculptures. 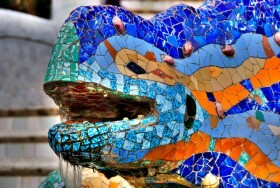 Although we swear it looks much more like an iguana to us, the powers that be and are "in the know," explain that this stunning "dragon" fountain, located at the entrance of Antonio Gaudi's architectural outdoor masterpiece, Parc Guell, is indeed that of the fire-breathing kind. 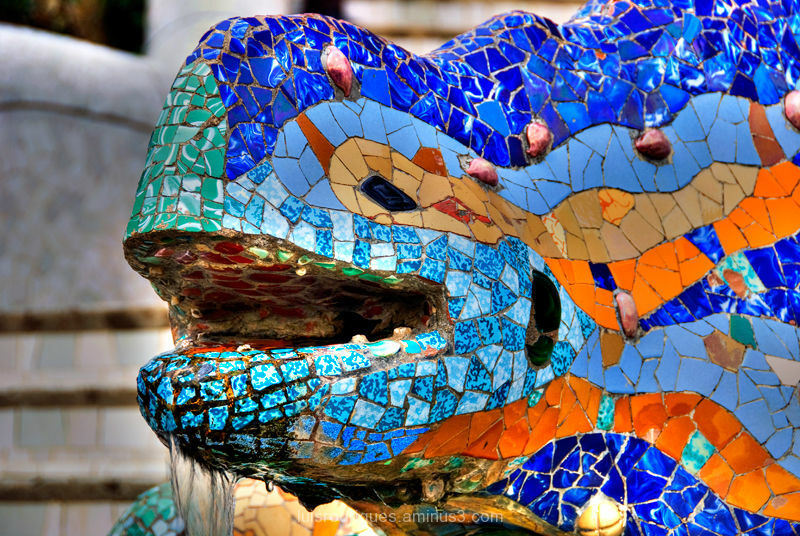 Regardless, the reptilian creation, with all its mosaic mishmash of whimsy, wonder, and COLOR, serves as an enchanting invitation and greeting to all visitors of this artistic Barcelona garden, as if saying, "Come in, Come in! and Enjoy Our Beautiful, Color-full World!" San Francisco is a city long synonymous with rainbows, and we love it all the more for it! 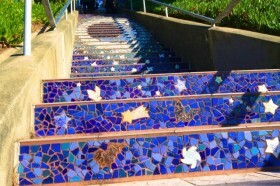 These "shady steps"--a colorful mosaic-made stairway located on 16th Avenue--have become an iconic locale for residents and locals alike to visit and snap copious amounts of color-filled photographs. And can you blame them? Its rainbow rungs going up, up, up have wooed us too.